Welcome back, Primary School students and teachers! One aspect of your lives that may be about to change is that learning a language is now compulsory at KS2. This may fill teachers with dread – one more subject that someone will have to teach – but students will probably enjoy it – and if they don’t then it’s being taught wrong! All KS2 students will now be taught a language. This may be “any modern or ancient foreign language” which allows Somali, for example, to be taught in schools where there are large numbers of Somali pupils, aiding cross-cultural communication. Most schools in Stockport and Manchester are opting for more traditional languages such as French, German and Spanish. This is mostly due to familiarity of those languages, and availability of teaching resource. Schools are taking a variety of approaches to language provision, as no rules have been laid down. Some are employing specialist external language teachers, others are using existing staff with language qualifications (this can range from a GCSE to a degree) to deliver cover the language component. This can prove an additional burden to already busy Primary School teachers. 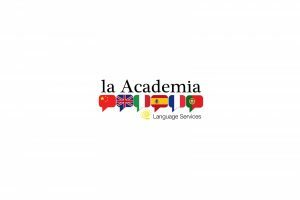 la Academia has already had to respond to several urgent requests to provide teachers where it has quickly become clear that the school’s internal staff resources are not able to take on language teaching as well. There are a lot of factors to consider – developing a study programme, how to build in progression, how to afford all the students the opportunity to practise speaking and listening, the level of written work that can be undertaken and how to cater for different ability levels in one class. All of the above comes with the package when you work with la Academia – let us take the strain and we’ll plan for a full 4 years of progression and fun in languages at KS2. We don’t offer Somali, but there are plenty of other languages on offer – contact us here to find out more!